Numeracy is a core subject of the national curriculum and a subject which has no boundaries in which it could be taught. Creativity in mathematics is not new. Teachers have been trying to teach this subject and make it interesting for all children since schools began but with a multitude of failings along the way. Making the resources to teach creatively can be time consuming and it is inevitable that teachers will turn to ready made worksheets for the children to complete. The problem with worksheets is that they do not work. Their use has been extensive but has failed to help children better understand abstract written mathematics. “for children to become young mathematicians requires creative thinking, an element of risk-taking, imagination and invention - dispositions that are impossible to develop within the confines of a work-sheet or teacher-led written mathematics”. The argument against the overuse of worksheets continues further with Davis and Briggs (2008) devoting a whole chapter to the end of death by worksheet. They claim that worksheets tend to focus on practice rather than allowing the children the opportunity to explore mathematics further and that they are not always clear for learners. You may ask why I have devoted so much space to the question of worksheets and their involvement in maths learning. Although they do have their advantages for the teacher in that they are already made, easy to store and easy to reproduce, teaching is about expanding and involving the childs mind. Allowing them to delve into the deepest caves to discover things that they did not think possible in maths. Getting children involved in maths and enjoying the subject is essential if we want to create young and interested mathematical learners. As Kendall (2010) states: “there is a real need to find a way of making the process of learning maths more enjoyable and meaningful for all concerned”. Being able to locate this enjoyable and meaningful learning is why I have chosen to teach maths through games with specific emphasis on playing board games in Key Stage One. •Games can encourage successful learning and increase self esteem. •Games can encourage mathematical discussion between children and with adults. •Games can support different learning styles by providing a different format for similar activities. •Games can help reinforce knowledge in different ways. 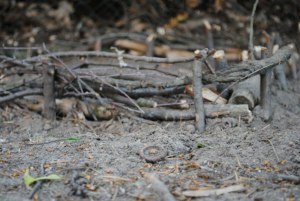 •Games can help support the introduction of new areas and ideas. I have a real passion for talk for learning in all my lessons in school and believe that children learn best when given the opportunity to work with other children and discuss their learning. Liverpool mathematics team (2007) discuss the use of talking in maths. Without knowing the vocabulary and the context in which it should be applied; knowledge of mathematics and in particular using and applying the skills they have learnt will be a very weak area. Playing board games with children is a prime opportunity for the teacher to stand back and watch the children in action, the activity is student led and just slightly guided by the teacher. This is to ensure that the children have “the time to explore mathematics without adult intervention which allows time to pose the questions themselves and to ‘have a go’ at activities without being told there is a specific way to approach an activity” (Briggs, M and Davis, S. 2008) The game will have an objective attached to it, but the learning itself will have no pre-determined outcome. I am hoping sincerely for a whole host of incidental learning to take place. Talk for learning will be a key part of this incidental learning and will be guided by the teacher when necessary. Board games are ‘entertaining and guaranteed to appeal to everyone; they provide invaluable ways of practising basic calculations and mental arithmetic’ (Yougman, 2010). If the children enjoy playing the games they will participate with confidence and take pleasure from the experience. They will be learning the basic arithmetic needed to progress further in mathematics as well as being introduced to vocabulary, practicing their vocabulary already in place and having fun at the same time. The perfect mix for learning to take place. So how do you teach area and perimeter? I'm hoping that it isn't by measuring tables, etc. BORING!!! This is truly one of the easiest maths topics to make the kids get excited about. So many different ways to approach this that I could go on and on so will just share my favourite few. 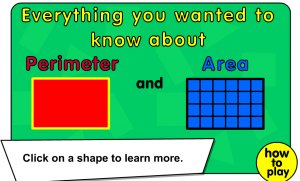 Once the children have mastered the steps needed to calculate the area and perimeter of shapes it is important to use these skills in many different ways. Make your door like this! They will see it everyday and hopefully will never forget it! Teach the steps needed to find the area then play this game to practice it. 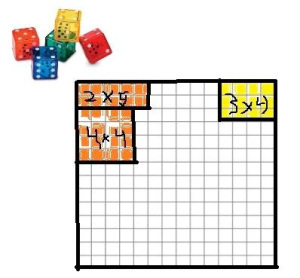 Work in pairs to roll a pair of dice, draw the rectangle to match the measurements given. Write out the perimeter and area of the shape. The winner is the first person to fill their entire block. Not only using area and perimeter skills but also using their thinking and problem solving skills. BIG CHALK!! Get it and get drawing outside - get the kids measuring or simply calculating the area or perimeter of shapes you have drawn on the floor (or that they have drawn on the floor for each other). 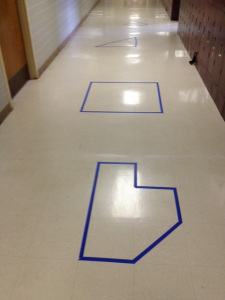 An alternative to this is to make shapes on the floor throughout the school using masking tape. Either way, they are not just sat at their desk looking at examples of shapes with measurements on (although this is also necessary to ensure they can read a diagram carefully). I usually get the children to work in pairs or trios to do this. I usually try to have at least 15 different shapes drawn on the floor ranging from simple squares to right angled triangles as well as composite shapes for the children who have a thorough grasp of the topic. Once children seem to have grasped the concepts of area and perimeter it is important that they engage with it through different investigations. There are many of these on the internet, many of which you will find with a simple search on google. For now that is it. There are so many area and perimeter videos on youtube (a few of which I have linked to on my maths videos shape, space and measures page). So if you are teaching area and perimeter soon, get creative, get outside, get them challenged and get them enjoying maths. The other three could ask yes/no questions and marked on the sheet which shape it could be. A point for the person who correctly worked out which shape it was. To stop them guessing they had to narrow it down on their sheet until they only had one shape remaining. They also wrote down all the questions that were asked and the responses. 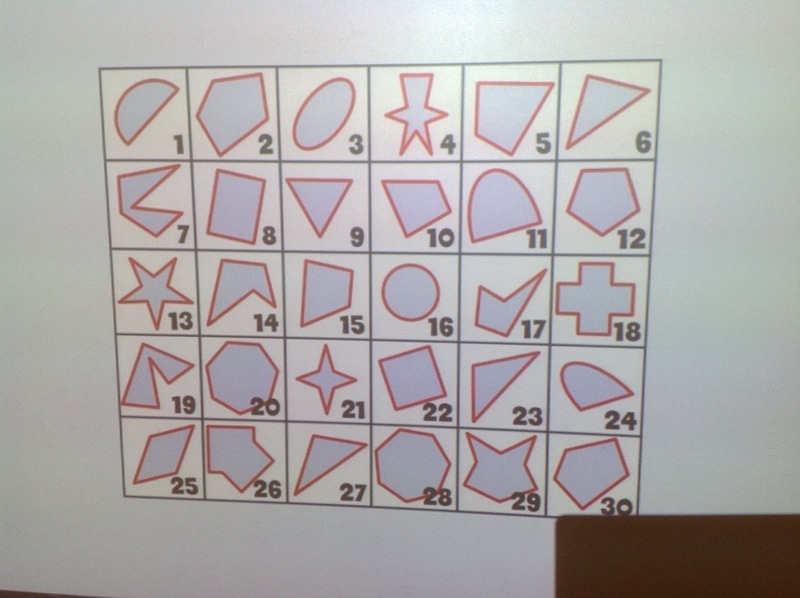 They enjoyed it thoroughly and it made them think very carefully about the properties of 2d shapes. It develops their visualisation skills, thinking skills, questioning skills and they had fun learning about 2d shapes!!! Below you will find what we use in school as the maths curriculum document. Split into different sections this has really helped develop the skills of the student. They are able to see what the next steps in the learning are and has enabled better differentiation (especially for pushing the higher ability children). Implemented 3 years ago teachers are finding maths easier to plan and the children can see how each step develops into the next. More understanding is now evident and maths has become a subject in school which all children look forward to doing in class. This approach was used in my previous school, but is now out of date. However, the approach to planning and the progress of an objective still stands. Teachers should know the next step for every child. Using an approach like this worked to extend all learners. Whether it developed a 'mastery' level is unknown but results at L4, L5 and L6 improved year on year for the years since it was introduced.